Cyanogen announced a partnership with Microsoft last April in which it would natively integrate a selection of the Redmond-based company's applications and services into its mobile operating. Those integrations, which will come pre-installed in the next version of Cyanogen OS, are part of a larger initiative the company has launched that'll grant third-party developers similar levels of access. As TechCrunch correctly explains, Cyanogen's new MOD platform is designed to give third-party devs access to many of the native APIs that were previously only accessible to the OS developers themselves. This gives app makers the ability to create not just standalone app experiences but integrate functionality directly into core features of the OS. Some of the initial launch "mods" include one that puts Skype in the Cyanogen dialer and one that lets users take a Cortana-activated selfie. There's also a mod that adds social media messages to your lock screen. The ability to play games on the lock screen is also a possibility, we're told. Cyanogen is said to be working with a small group of developers initially, comforting news considering the potential security implications here. In the long run, however, Cyanogen wants to open the platform up to all developers although it's unclear how security would be handled at scale. 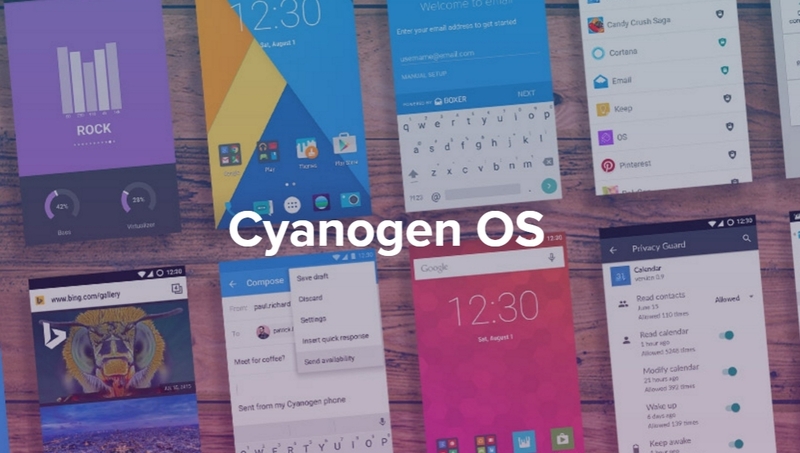 Cyanogen OS 13.0 is expected to arrive sometime next month. It's early days for the MOD program but if things go smoothly, we may very well be looking at the post-app era.